The book argues that the issues that led to the conflict in the DRC were interconnected and simultaneously influenced by aspects on local, national and regional levels. For instance, in Ituri in northeastern DRC, violence broke out in 1999 over a land conflict and divided the local population along ethnic lines. At the national level, legal provisions led to an unequal distribution of land that privileged one ethnic group over the other. Regionally, Uganda’s interest in Ituri’s natural resources also played a part in the escalation of violence. The neighboring state supported different ethnic groups depending on its business interests. Given the multi-layered nature of land as well as other conflict issues in the DRC, the book argues that local and international peacebuilding actors had complementary priorities and comparative advantages that would have allowed them to deal with the conflict more comprehensively. Yet, their perceptions of resources, capacities and legitimacy differed. International peacebuilding actors defined resources mostly in financial terms and made the accusation that local actors would ‘mushroom’ whenever funds were available, but disappear just as quickly when funds dried up. Local peacebuilding actors, in turn, emphasized their cost-effectiveness and observed that international actors often left a given context rather abruptly when donor attention shifted. Concerning capacities, international actors valued their own thematic knowledge as an important capacity while they often treated local peacebuilding actors’ context knowledge as mere ‘information’. On their side, local peacebuilding actors perceived their own context knowledge as a capacity equal to international actors’ thematic knowledge. Finally, in relation to legitimacy, international peacebuilding actors tended to focus on their legitimacy with donors while local peacebuilding actors underlined the importance of legitimacy in the eyes of the communities with which they worked. These discrepancies led to a pattern of interaction in which international peacebuilding actors excluded local peacebuilding actors from strategy-making and only included them in fine-tuning the implementation of their programs. Consequently, local peacebuilding actors could only marginally adapt international peacebuilding projects. Moreover, their own peacebuilding programs were often crowded out or duplicated by international peacebuilding actors when the latter decided to engage directly on the ground. This resulted in partial responses to the war and therefore in a fragile peace. Both types of actors had relevant programs and contributed to putting an end to open warfare. However, their efforts ultimately remained insufficient because the lack of coordination left important gaps in the peace consolidation phase. Based on this analysis, the book provides insights on how local and international actors could have complemented each other and thereby have addressed the war more comprehensively. 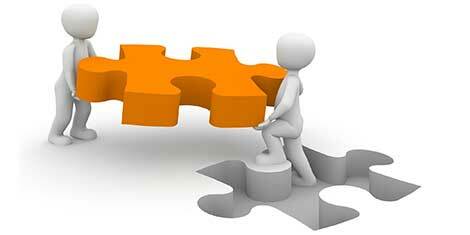 It also presents concrete suggestions on how to select partners and engage in partnerships. There are five main reasons why reading the book is interesting for both peacebuilding scholars and practitioners. First, the book provides insights into how the interaction between local and international peacebuilding actors relates to the success and failure of their programs. It sets out factors that can make both local and international peacebuilding programs more effective and, in particular, provides suggestions on how to overcome obstacles to cooperation. Second, the book carefully explores the category of local peacebuilding actors. For scholars, the book thereby counters the bias in the literature towards international actors as peacebuilders. For practitioners, it offers fine-grained details on an actor category that has been insufficiently described and explored. Third, by empirically tracing the interaction between local and international peacebuilding actors over the long term, the book also shows changes in their approaches over time. It thereby nuances scholarly work on this topic, which often presents peacebuilding as static. It also helps practitioners become aware of impulses for change, which may give impetus to promoting such factors more consciously. Fourth, by focusing on perceptions, the book moves beyond ascribing pre-defined attributes to the categories of local and international peacebuilding actors. This avoids dichotomizing and allows for an understanding of these actors’ subjective reality. It provides an analysis of their alternative visions of conflict and peace and helps scholars and practitioners alike to become aware of perceptions that are different from their own. Fifth, scholars and practitioners alike may find the book’s proposed framework for analyzing multi-layered conflict issues useful. The book contributes to a better understanding of the conflict in the DRC and hopes to help fine-tune responses to it, as both local and international peacebuilding actors continue to invest in the pacification of the country. 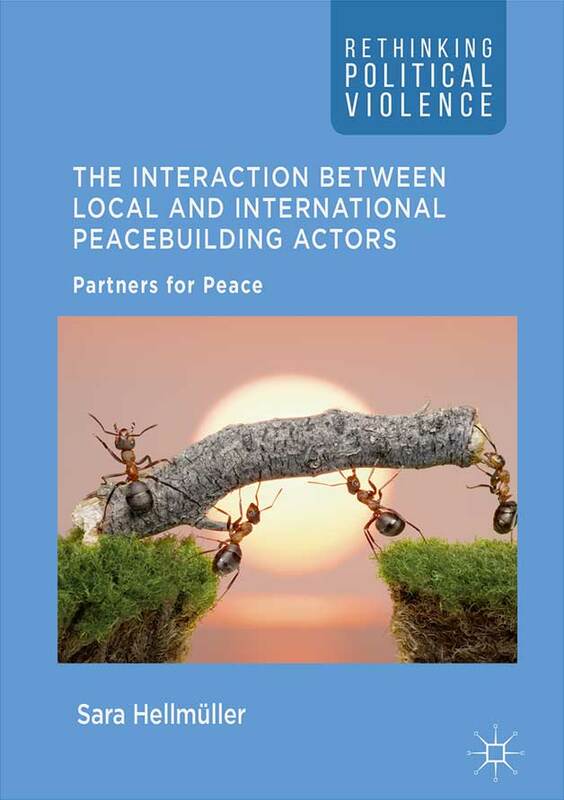 In sum, the book suggests that cooperation between local and international peacebuilding actors enhances the effectiveness of their programs because they have complementary priorities and programs as well as distinct comparative advantages to address armed conflicts. This insight has explanatory power beyond Ituri and the DRC. While any generalization would need further research, other contexts characterized by multi-layered conflict issues are likely to produce similar results. Therefore, the book makes an academic and practical contribution to understand better what leads to more effective peacebuilding. It thereby helps local and international peacebuilding actors to reach their full potential to address armed conflicts more sustainably. Sara Hellmüller is a Senior Researcher at swisspeace, a peace research institute associated with the University of Basel, Switzerland, and a Post-Doctoral Fellow at the University of Montreal, Canada.